Just out of college, Patricia Hampl was mesmerized by a Matisse painting she saw in the Chicago Art Institute: an aloof woman gazing at goldfish in a bowl, a mysterious Moroccan screen behind her. This woman seemed a welcome secular version of the nuns of her girlhood, free and untouchable, a poster girl for 20th century feminism. 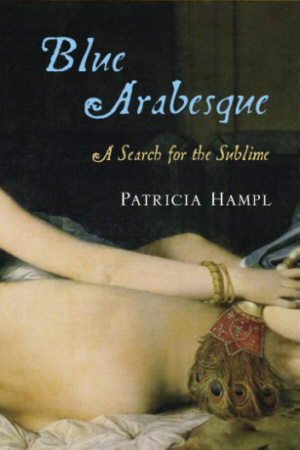 Hampl’s explores the allure of that woman, immersed in leisure, so at odds with the increasing rush of the modern era. Her tantalizing meditation takes us to the Cote d’Azur and across to North Africa, from cloister to harem, pondering figures as diverse as Eugene Delacroix, Scott Fitzgerald, and Katherine Mansfield. Returning always to Matisse and his obsessive portraits of languid women, she discovers they were not decorative indulgences but a surprising act of integrity. Moving with the life force of the arabesque stroke Matisse sought in his work, BLUE ARABESQUE is a dazzling tour de force.